This homemade costume for boys entered our 2013 Halloween Costume Contest. 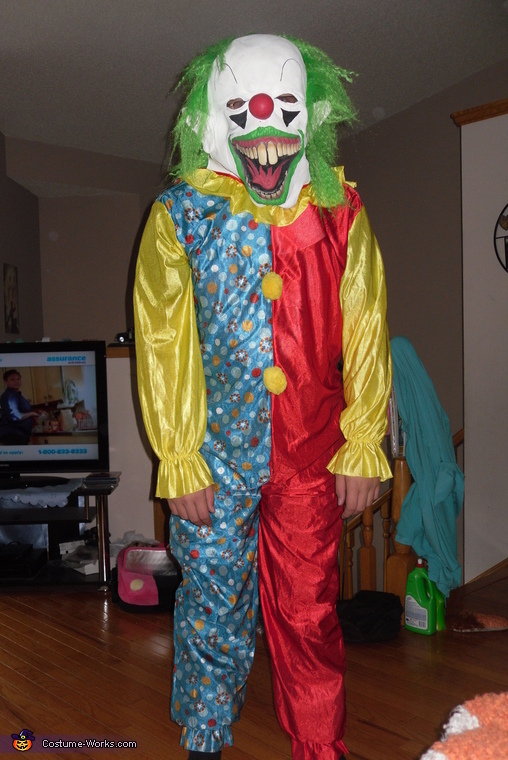 My son is wearing the costume, ever since seeing the movie IT (by Stephen King), he has wanted to be Pennywise. It was difficult to find a mask of Pennywise.